Actually share details about my actual life. b) We’re going to Europe! Yep, Mr. Aprons and I are headed to London and Paris for our anniversary in the spring. We’re technically there to see an Arcade Fire show (two to be exact), which I believe formally makes us groupies. We joked about it first, since there weren’t any tour dates near us. “Hey, can we go to this show? In Barcelona?” We were walking around the Children’s Museum of Memphis with Leo one afternoon when the topic came up, and we decided to just do it. We’d look for cheap flights, stay in smaller Airbnbs, whatever. We’re going away for over a week just the two of us! We haven’t spend that much time together alone since, of course, before Leo was born. I’m so excited. We just booked the tickets today, so there’s still so much to plan. We’re flying into London, likely staying in a hotel (Hellllllo, Marriott points), then taking the train to Paris, then back to London to fly out. I used to live in Paris, and we honeymooned there, so it’s an especially romantic trip for us coming up. So where should we eat in London? And where in Paris? We’ve always just let the mood strike us in Paris, floating down avenues with no care other than where we’ll get our next miniature cup of espresso. In other words? We eat wherever we find ourselves around 7:30 p.m. This time, though, I’d like to plan a bit more, make some reservations, and drool in preparation. I’m thinking we’ll go to one really nice restaurant for our anniversary – any suggestions? 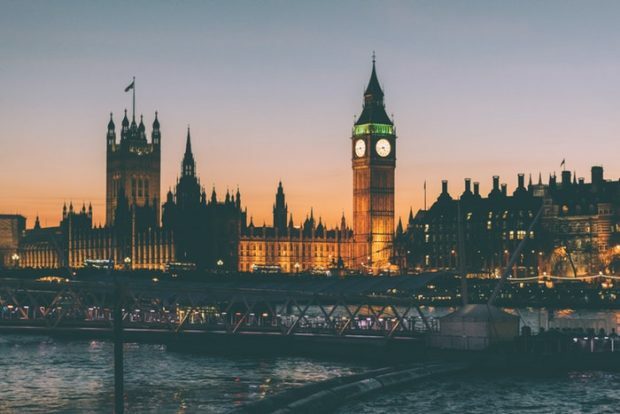 And any must-sees in London? So far on my list, I’ve got the Harry Potter studio tour, the Tower of London (Since, when I went when I was 14, I was kind of like, “What’s the big deal?” And now, having properly history-nerded out hard since, I’m like, “VERY. BIG. DEAL.”), and–don’t judge me–but the building and pub where all of the Cormoran Strike books are set. Super nerd. You bet your britches I’ll sit there and scowl and drink a pint or two of Doom Bar, too. You bet your britches! Oh… and a TARDIS-style police box to stand in and take super enthusiastic photos. It’s just going to happen; prepare for it. Now that my super, out-of-control excitement about Europe is out of the way, let’s talk Halloween! What did y’all do to celebrate? 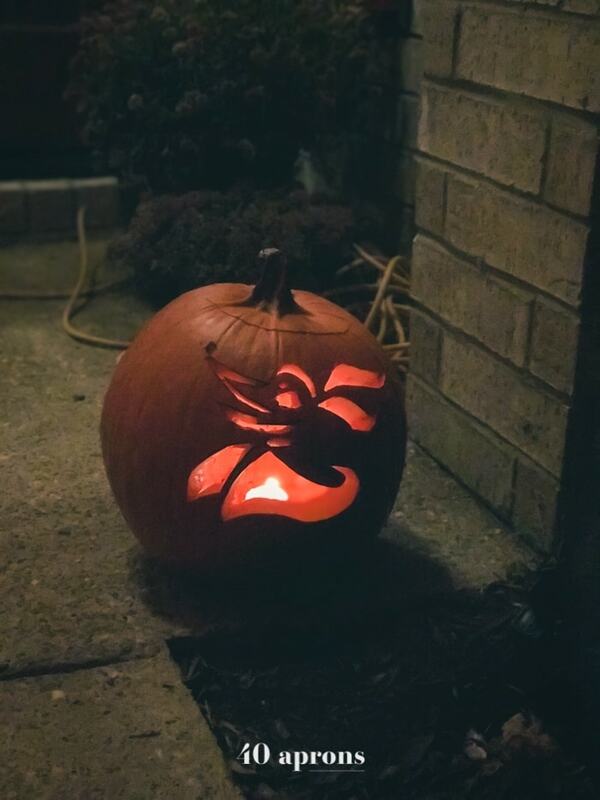 Does your Halloween turn into a two-week-long celebration like ours? 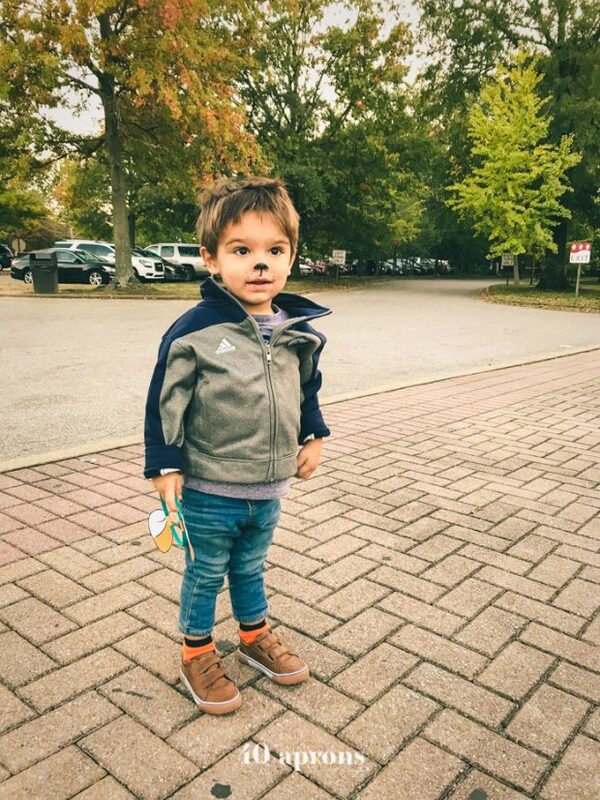 We started with a Trunk or Treat at Leo’s school but couldn’t convince him to wear his costume. 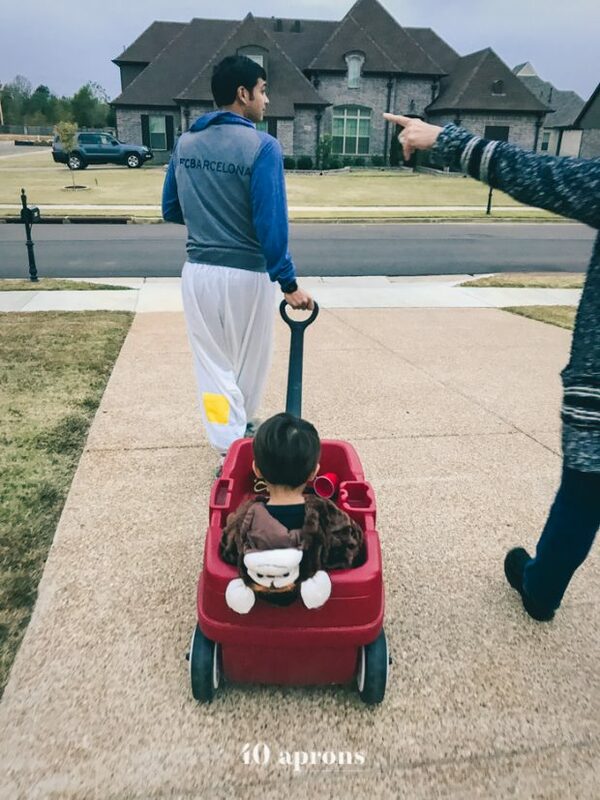 O and I, on the other hand, were dressed like Todd and Margo from Christmas Vacation… but pretty sure everyone just thought we were back from a run. We need full on silver garbage bag suits for next year! 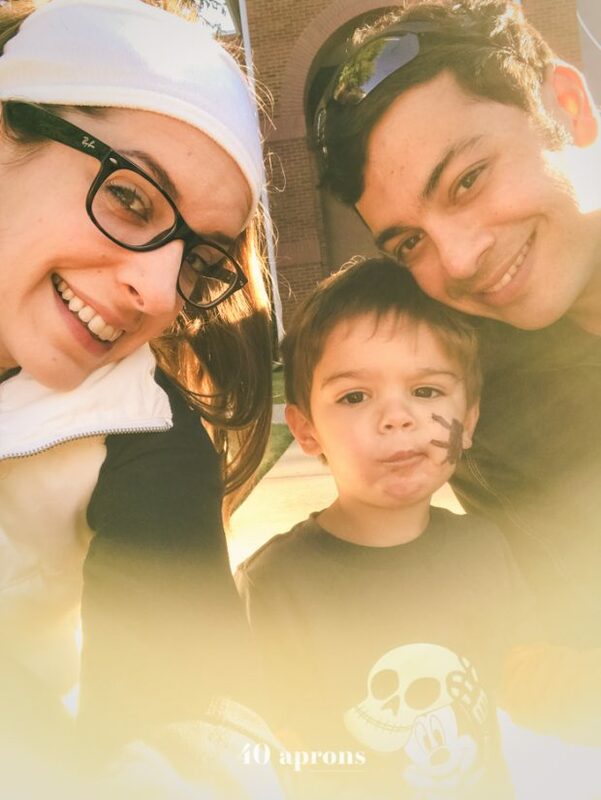 Leo had a blast, as evidenced by his full (of candy) mouth in the photo… I was a Trunk or Treat hater before going, but it was a really nice time! The little trunk-booths were cute, and the people were so nice. 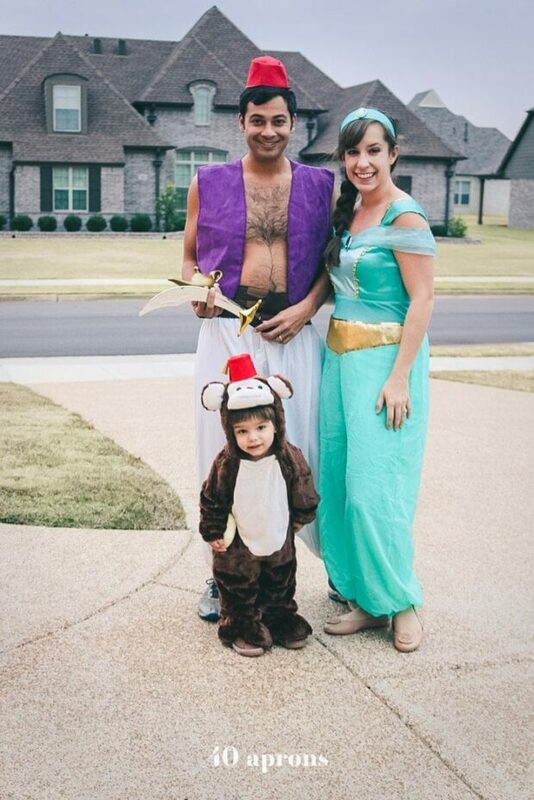 Definitely a fun addition to our Halloween. 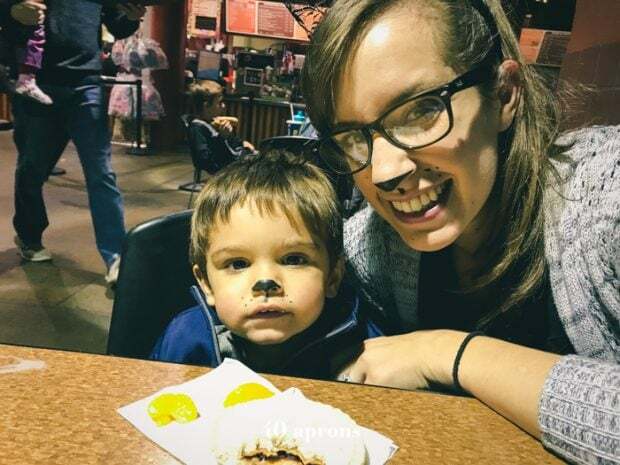 Then we took him to ZooBoo at the Memphis Zoo. 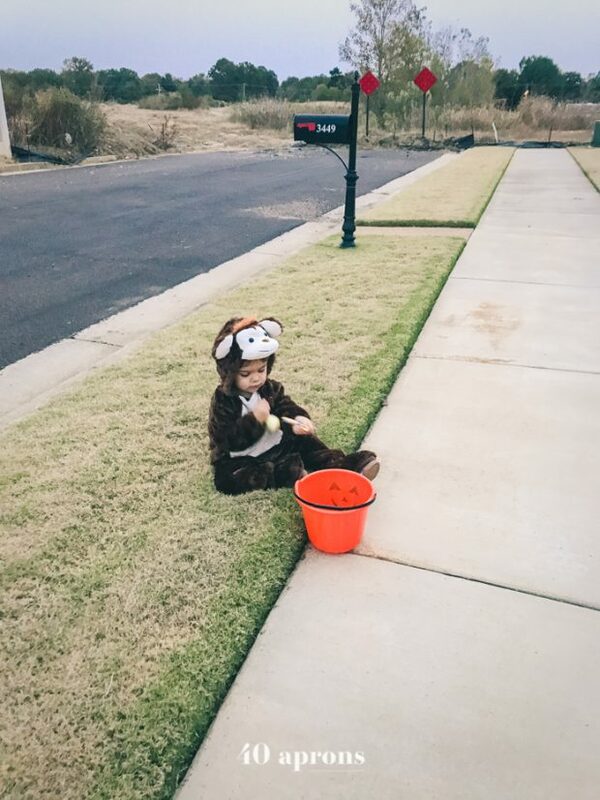 Couldn’t get him to wear his costume here, either. Instead, he was jealous of the “kitty cat nose” I’d painted on for a friend’s Halloween party we both went to, so he wanted one of his own. 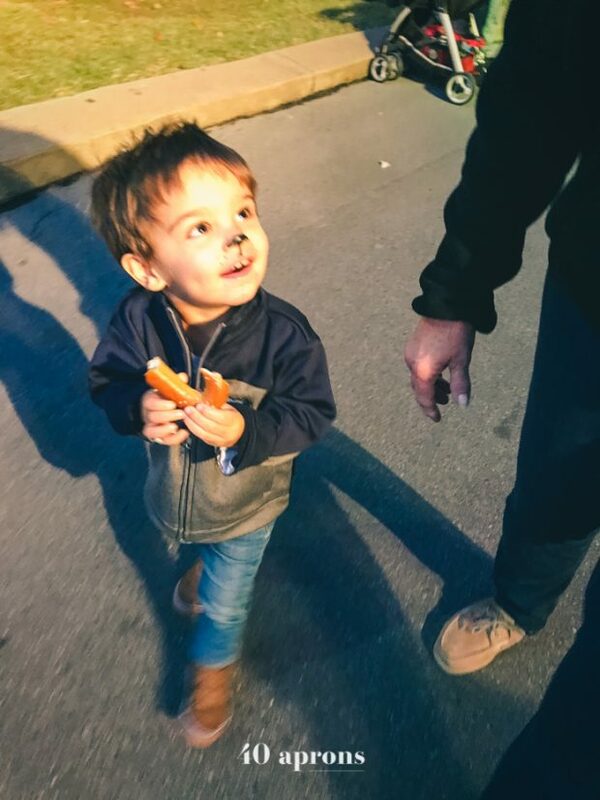 And he got to eat a pretzel, so he was super stoked. 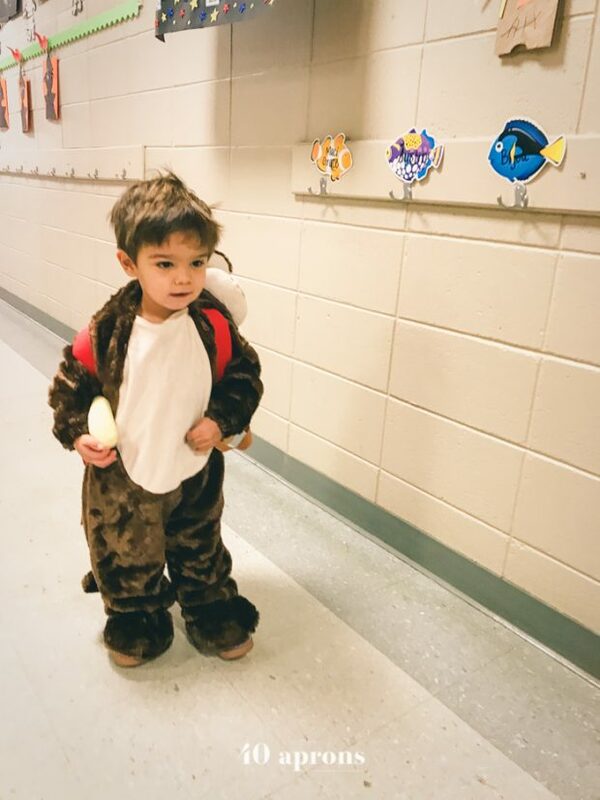 Finally, after this event, he was convinced he should wear his costume. He actually wore it to school the next day, though he left Batman at home. 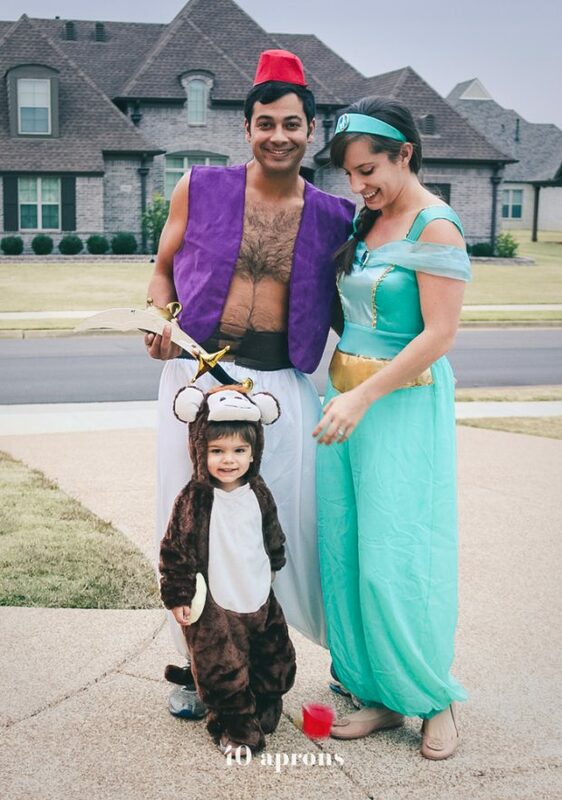 And later that night we went trick or treating in our family costume! So dorky. 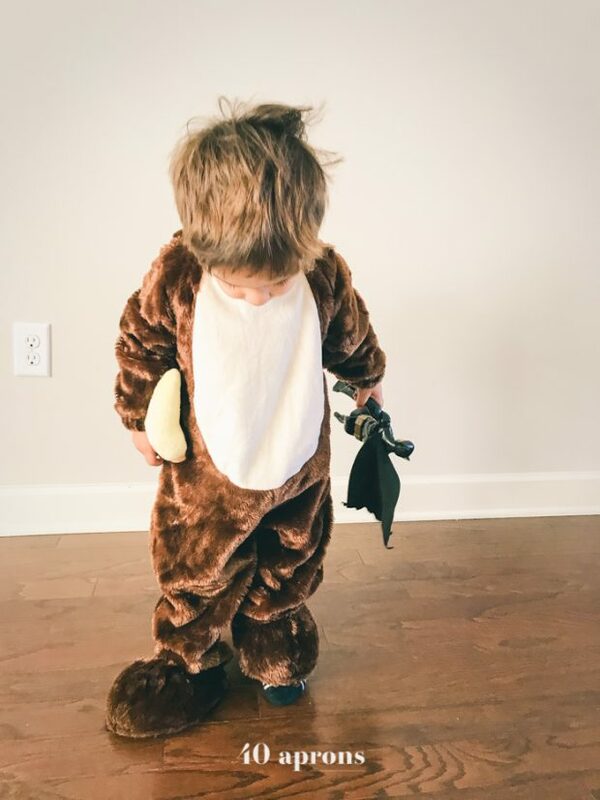 We toted Leo around, and he even rang a few doorbells and said “trick or treat.” But didn’t get that you keep moving after each new acquisition… he’d have preferred to consume his spoils after each go. He’s obsessed with the Nightmare Before Christmas, but watching it gives him nightmares! 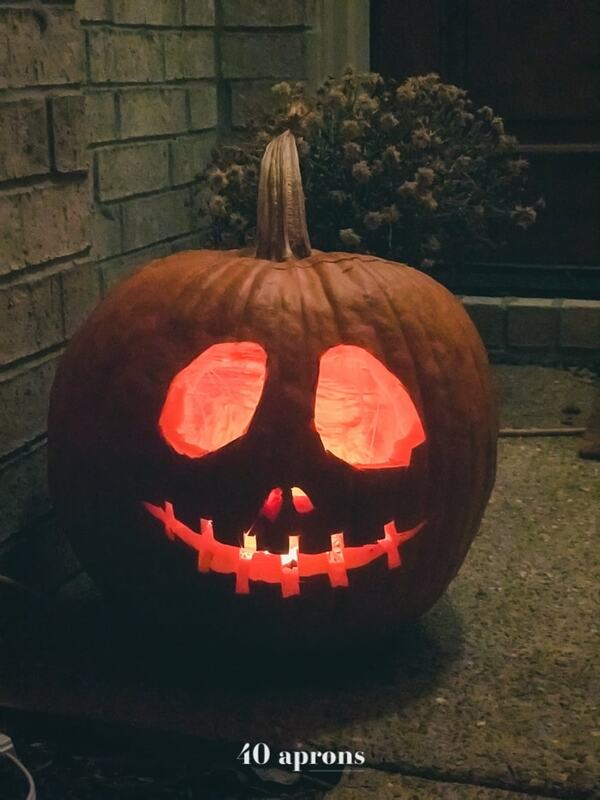 So I carved a few festive jack-o-lanterns for him instead. 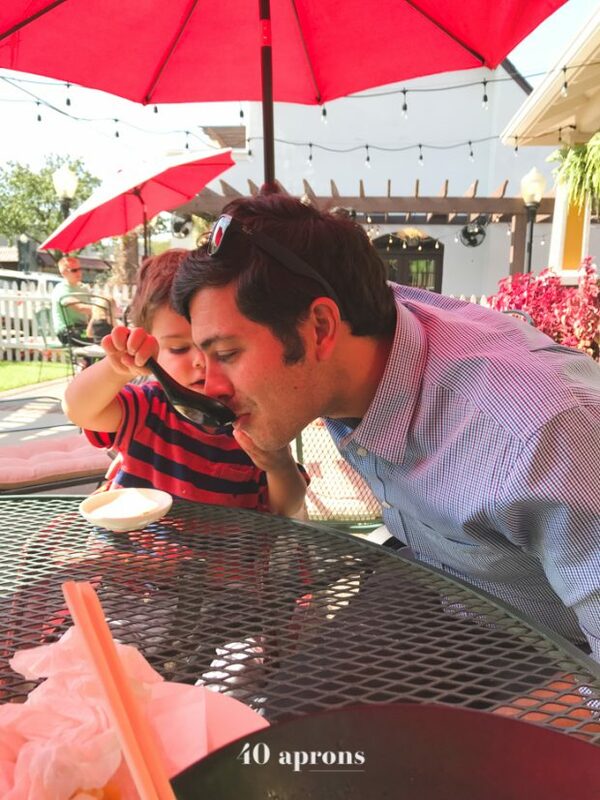 We met for lunch one day and Leo fed daddy some ramen broth. We met some friends at the zoo during fall break and had to feed some giraffes. And we finally got furniture for the living room. It’s been totally empty for almost a year! Now I need to accessorize… help. My acupressure mat. 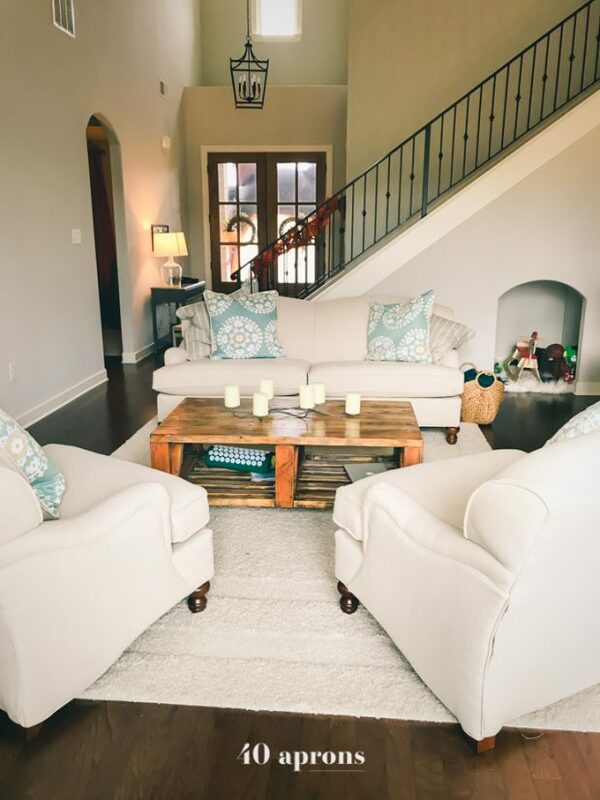 You can even see the acupressure pillow on the coffee table shelf in the living room! I notice a massive increase in circulation when I use it, and it’s actually extremely relaxing. I promise! You’ve got to try them. I’ve noticed reduced inflammation and way fewer muscular knots in my body since using it, too, and I’m actually even more active than before when my back got knotted up so easily. My basal body temperature. I’ve been watching my waking temperature closely, as I tried to support my thyroid and my T4->T3 conversion naturally. Well, today it was the highest it’s ever been, and my circulation is fab. I have no symptoms! So what I’m doing is working for me, and I’m so thrilled about that. I thought I’d have to take thyroid medication for the rest of my life because my levels were a bit off. Hooray for adaptogenics and whole foods! Liquid chlorophyll. I’ve been taking this mixed in with a bit of coconut water or other juice as a sort of “elixir” to support my digestion and give my body more green. It helps me feel like I’m really supporting my body’s natural detoxification thanks to its blood-cleansing properties. And weirdly? It totally makes you less stinky. So strange, but hey, I’ll take it. Camu camu powder. This stuff is so packed with vitamin C, it’s almost a little freaky. Pretty sure it’s absolutely next in line for superfood celebrity status, it has more vitamin C than any other food and boasts a host of other benefits. Try some! I stir it into a bit of juice and chug it. If I made more smoothies or ate more yogurt bowls, I’d sprinkle it in there, but with the colder weather, I’m settling for a camu camu shot. It’d also be great in a facial treatment! Pacific Stellar Gaze Length and Strength Mascara. I’ve been searching for the healthy mascara, and I’m loving this find from Pacifica. It’s only about $14, making it a lot more affordable than several of the other options! I find it goes on way more like my other mascaras, and gives my eyes that artificial lash look that I love – no clumping! Here’s what I’ve been making. A video for my Whole30 green bean casserole! You’ve got to try this recipe. 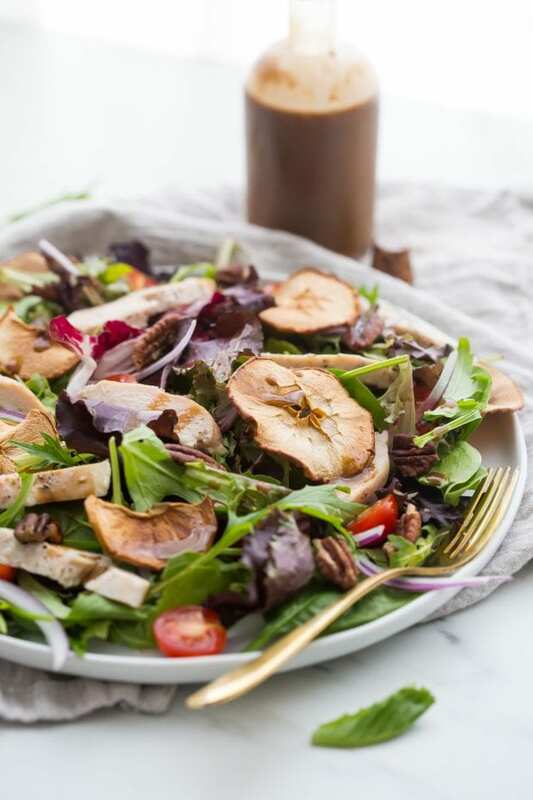 This Whole30 Panera-copycat Fuji apple chicken salad. So good. 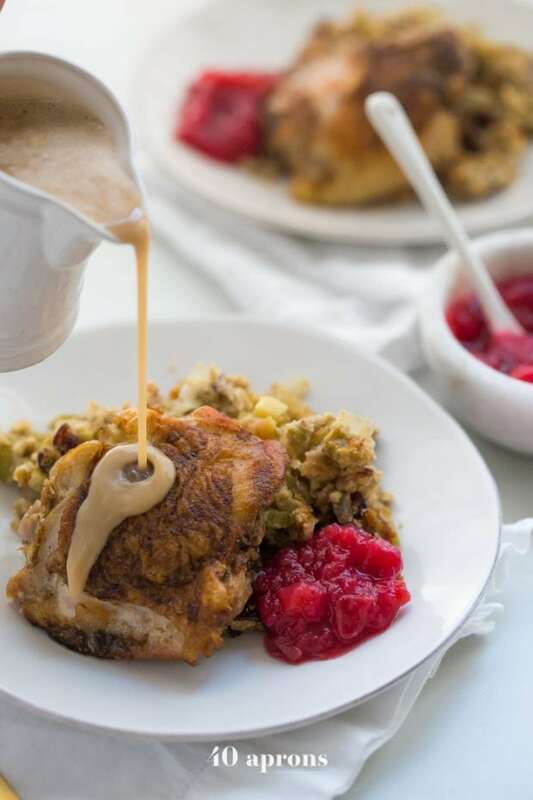 This Whole30 chicken and stuffing bake (with gravy!). My favorite kind of meal. 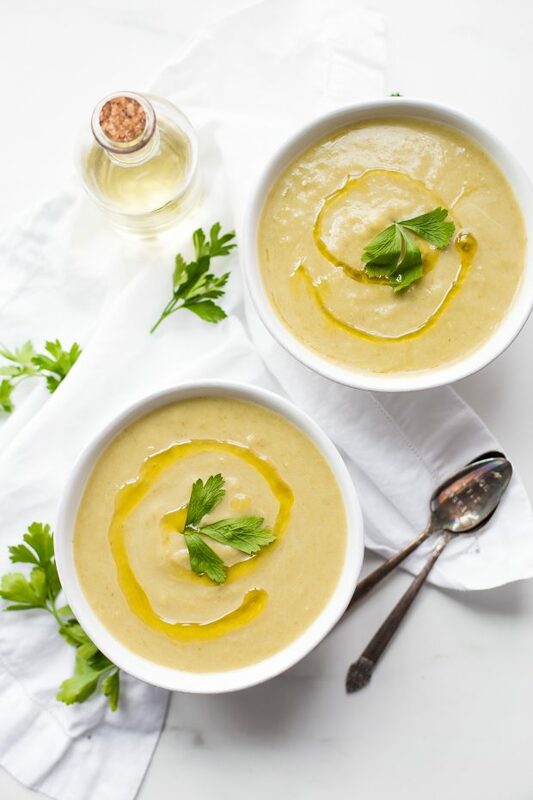 This Whole30 potato-leek soup in the Instant Pot, going in my paleo Instant Pot cookbook coming up so soon! What have you been up to? How was your Halloween? What are you loving lately? We loved London, my wife spent six weeks there with friends last year. We especially enjoyed SoHo seeing Aladdin at Prince Edward Theatre, eating at Clos Maggiore in Covent Garden, and we stayed the night at the coolest boutique hotel, Hazlitt’s Hotel. I’m checking out all of those recommendations! I cannot wait to go! I recently did my first whole 30. Your blog and recipes got me through it, although in truth it wasn’t hard for me. However, your weekly email has made it much more interesting and delicious. I have passed on several of your recipes and your site. Thank you for helping me get healthy.